No matter what kind of physique you have, this bean bag is filled with the high-quality FreeFlow® filler that takes the shape of your body. 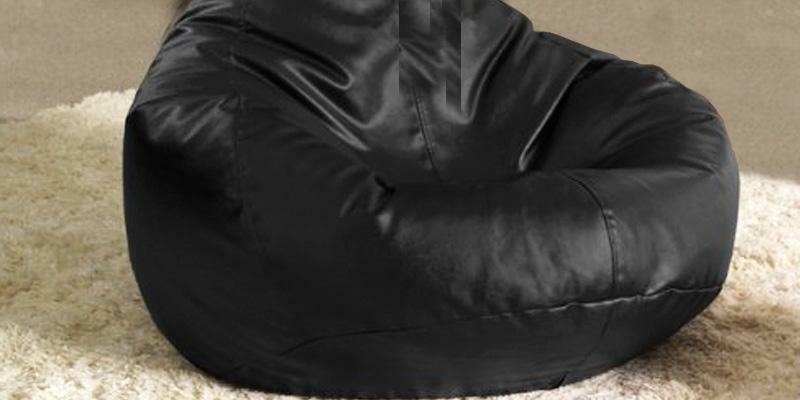 This stylish bean bag might seem slightly uncomfortable for really tall people. It's a highly comfortable chair that will help you fully relax and enjoy watching TV or playing your favourite video games. 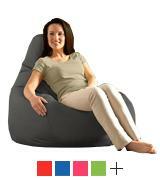 This bean bag chair takes different shapes, allowing you to pick the most comfortable one. The model is easy-to-clean and has a double stitching. Some people find the fabric rather stiff. This is an amazing bean bag that can be used indoors and outdoors thanks to the waterproof fabric. Top convenience in all conditions! The Gilda Soft Giant bean bag is extremely easy-to-wash - use warm water and the cover will be good as new. The beans inside the bag tend to lose their quality over time. It's a great choice in terms of quality-to-price ratio. 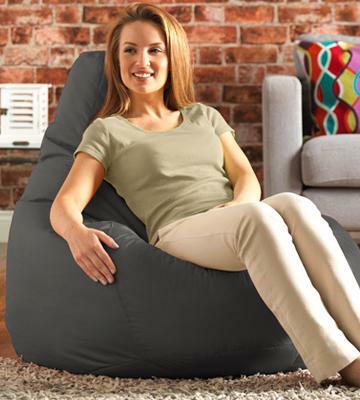 The Gilda Soft Giant bean bag will help you relax after a busy day. 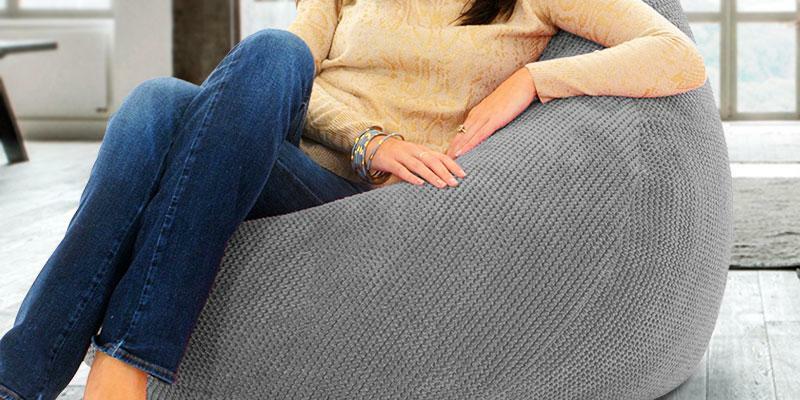 Thanks to a high backside and a wide seat, this bean bag provides an unparalleled level of comfort. The model is made of highly durable and waterproof TX Ballistic® fabric. The bean bag couch is smaller than it seems in the pictures. 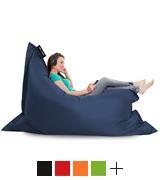 This bean bag is the perfect choice for a child or a teen who spends lots of time in front of TV or laptop. Unparalleled comfort! 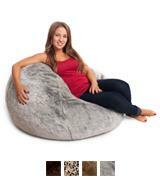 The bean bag couch is made of nice faux fur which is extremely soft and warms you up on winter nights. This model cannot be washed. 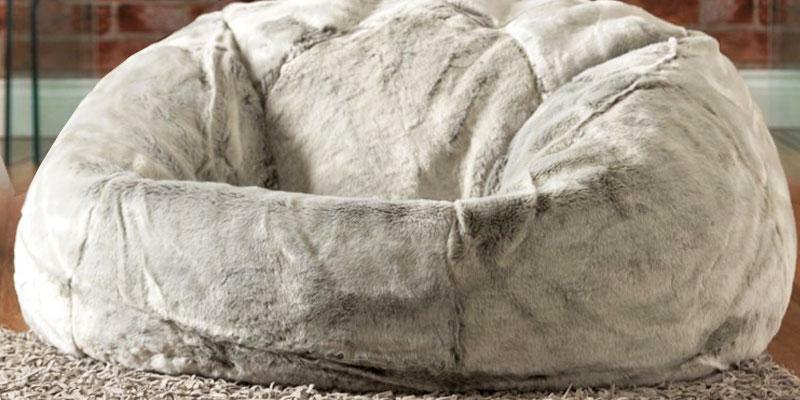 If you wish to relax in a cosy bean bag that will be pleasant to the touch and warming, look no further as this Luxury Faux Fur XL is the best option. There might be a little doubt as to which company is the 'king' among numerous manufacturers of bean bags - well, there shouldn't be, it is Bean Bag Bazaar. The chairs produced by the company are popular worldwide - the success no other bean bag manufacturer can compete with. 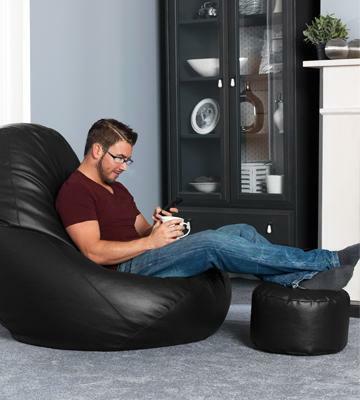 We have picked this Gaming Bean Bag Recliner for our shortlist and it is certainly a worthy piece of furniture to have in your house or flat. Once you settle your body in this bean bag, you forget about everything - work, problems, household chores... The chair is extremely soft and welcoming, so you will not want to leave it. The secret of this bean bag is its high-quality FreeFlow® bead filler that moulds to your shape and allows you to experience the maximum level of comfort. 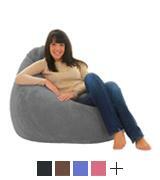 The bean bag is quite close to the floor, which means you can recline in it and stretch your legs out. 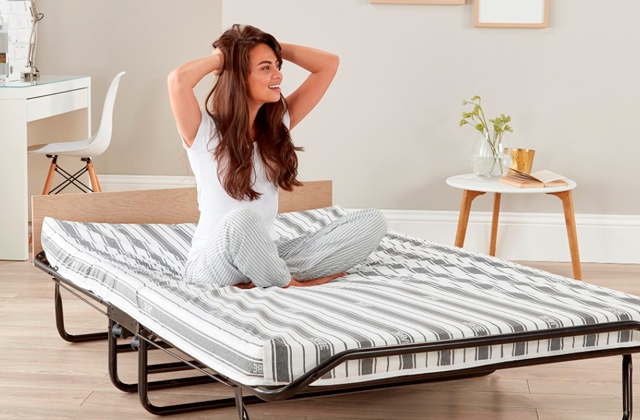 The shape of the bean bag provides support to your back and head so you will certainly enjoy taking a nap! We also find this bean bag highly convenient for avid gamers who spend hours in front of the screen playing video games. This giant bean bag from Bean Bag Bazaar is extremely versatile! It can take any shape you like - you can turn it into a cosy chair, give it a shape of canoe or knead it into a kind of bed. 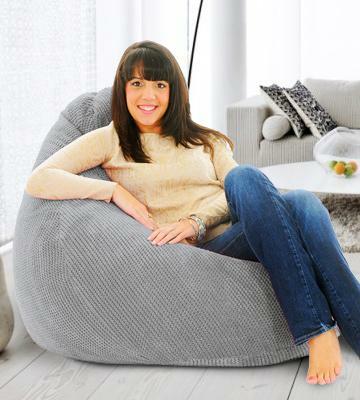 Moreover, this stylish bean bag is large enough to provide enough sitting place for two people. Of course, children adore such bean bags, too! We would also like to draw your attention to the quality of the chair. 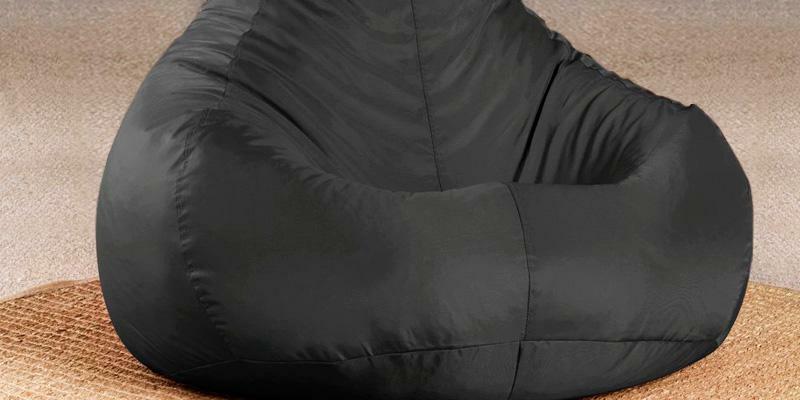 Thanks to the double stitching, the fatboy bean bag will not rip when you are reshaping it. The cover of the bean bag is 100% waterproof, which means you can use it indoors and outdoors. Washing the chair is effortless - use a damp cloth to wipe any dirt off. 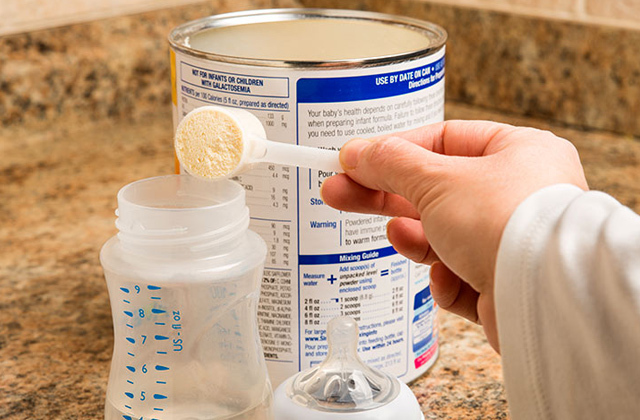 If you are worried that children might unzip the cover and the filler will be spilled, this model has two zippers (internal and external) for the maximum durability. Finally, we would like to say that 12 different colours are available, so you can easily select the one fitting your home interior. Gilda is a manufacturer of comfortable and high-quality bean bags for a really affordable price. We have selected the Gilda Soft Giant chair for the review. 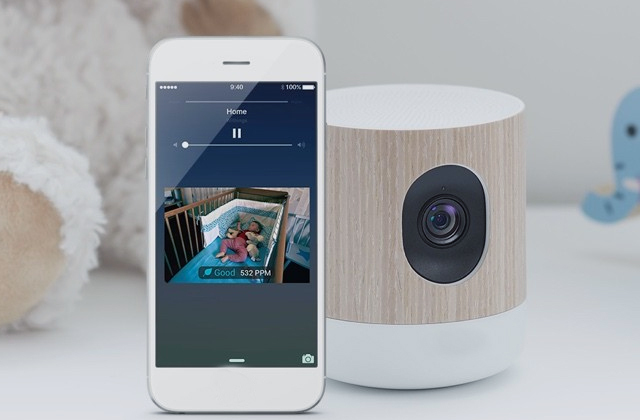 It is really popular with customers in the UK and we are going to find out why. First of all, this bean bag has a very ergonomic shape that gives a good support to your neck and back. The soft textured material this chair is made of also adds to the comfort you feel. It resembled a velvet to the touch but, unlike the latter, it is extremely easy-to-wash. The manufacturer emphasises that the bean bag is made in the UK so it is an example of the British quality. You are likely to pick a bean bag fitting the style of your room and this is why Gilda offers this model in a variety of colours: grey, black, pink, brown, and so on. You will surely find the one you need! We would like to mention that bean bags are now used even in offices as white collar workers need some rest amid loads of intellectual work. If you wish to make your office more worker-oriented, this Gilda Soft Giant bean bag will come in handy! It is another fantastic bean bag couch manufactured by Bean Bag Bazaar. The company is known for being the leading producer of such comfy chairs. The model is certainly among the best in terms of comfort it provides. This bean bag couch will help you rest in cosiness and read your favourite book, watch TV, etc. The chair can be used indoors and outdoors, so you can relax in your garden on a warm sunny day. Thanks to a high backrest and a concave seat, the bean bag provides an unparalleled comfort and we dare say you will dose off. The bean bag is filled with FreeFlow® Virgin Polyester beads - they quickly mould to the shape of your body so your physique does not matter - you will be able to find the most comfortable sitting position. 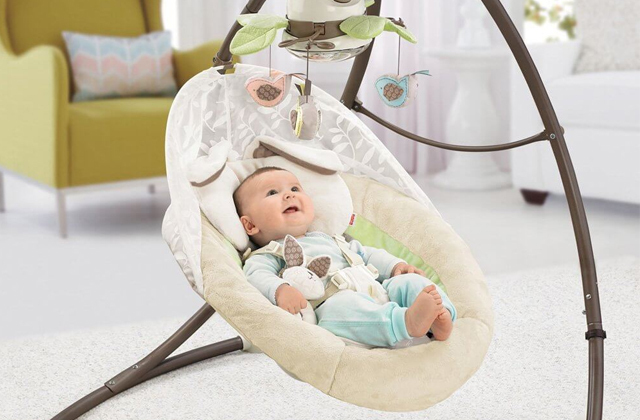 The chair is made of 100% Teflon-treated waterproof material and has a double stitching, so the durability is guaranteed. All pros and no cons! 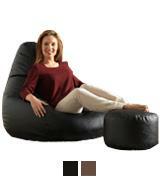 This bean bag chair is the best choice for people who like cosiness and comfort. 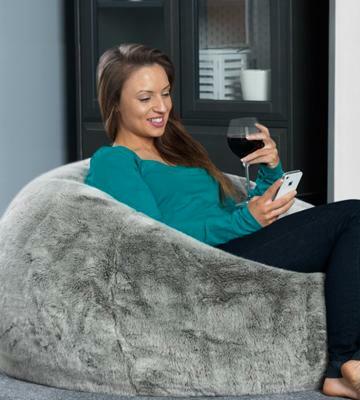 Unlike many other similar chairs, this bean bag has a faux fur cover, which means it is soft and really pleasant to the touch. Moreover, this material warms you up when you sink into this couch. As a result, this bean bag will be particularly useful for people who live in areas where winters are fairly cold and the feeling of warmth is highly appreciated. Imagine reading your favourite book in front of the fireplace on a winter evening... What a relaxation! The lower part of the couch is made of faux suede, so the bag will not slide on the floor. The quality of the bean bag is beyond all praise - the reliable stitches will bear a person of any weight. As for colour patterns, this bean bag couch is offered in the following ones: brown, grey, leopard, and mink. 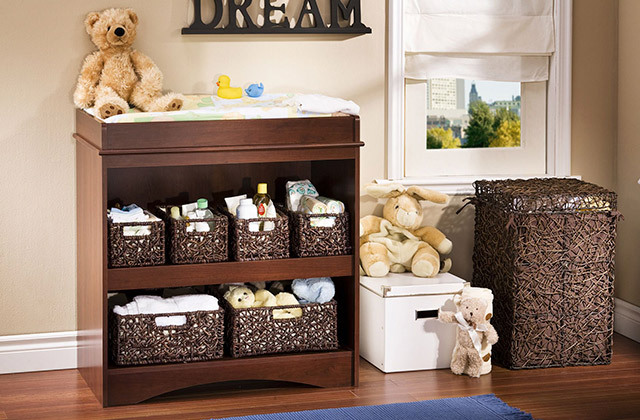 Thus, you can easily find the one suitable for the interior of your room. However, there is one drawback of this chair - your pet will love it too and you will need a lot of courage to get it off this bean bag! We bet the first thing you pay attention to when choosing a furniture is whether it’s going to be comfortable or not. You wouldn’t pick a sofa with a stiff cover just as you wouldn’t go for a hard chair to while your evenings away. Resting is supposed to be comfortable and relaxing and this is why the comfort of bean bags is unbeaten. These soft, oversized seats conform to the shape of a human body and let users dive in cosy embraces of foamed padding. 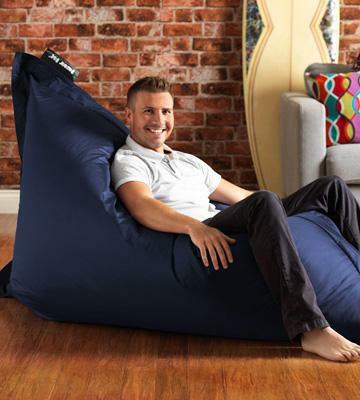 There are all sorts of bean bags on the market which differ in their shape and colour, so everyone can find the right one for his or her needs. In our review you’ll find some of the most popular bean bags and, hopefully, making a choice will be much easier! 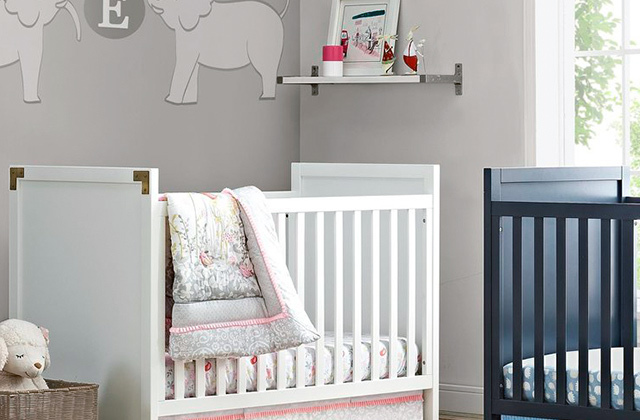 Buying furniture is always challenging since you should decide on its design and material. Just like other pieces of furniture, bean bags are presented in a variety of colours and shapes to choose from. We’d like to tell you a bit more about their design modifications so that you can find the right one for your place. The pear or teardrop shaped bean bags provide ideal back support and allow stretching your legs out. The flat pancake shaped models accommodate 2 people and can be used as a coffee table when you wish. The pillow shaped bean bags can be flattened and serve as a real mattress or you may knead them into various shapes. The sack-shaped models generally have the biggest size; they are often used as sofas. The chair shaped bean bags provide great back support and give you a feeling that you sit in the softest and the most comfortable chair. The sphere-shaped bean bags are the most popular. These cosy bags are real space-savers and can be placed in any room. 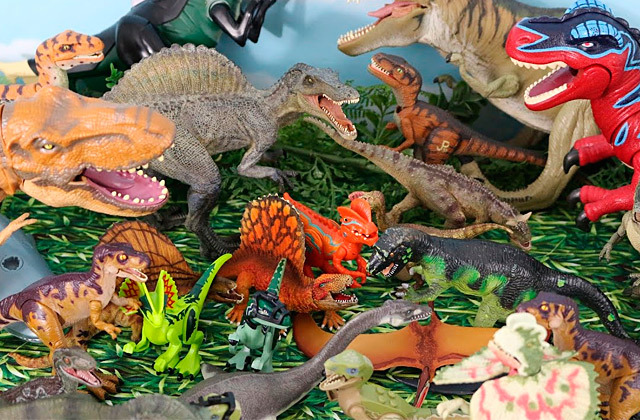 Bean bags for children usually have different shapes of animals and animated characters. 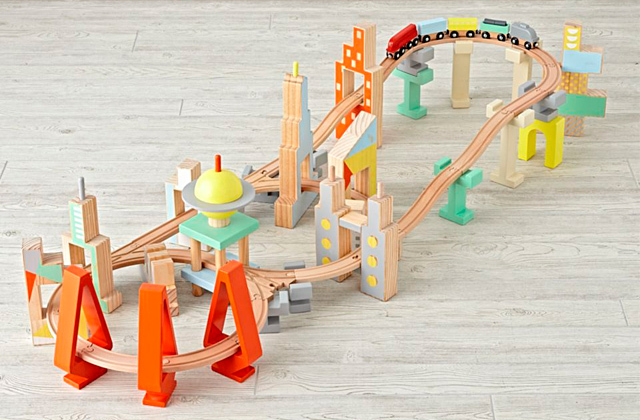 Therefore, children can relax in them and even use them as toys. The materials used in bean bags production also matter. Hence, you should draw your attention to a bean bag filler and fabric the cover is made of. The softness and comfort of a bean bag directly depend on a filler type. A filler should be spongy to depress your weight and rather firm to support your body. What is important, a filler should be durable and pressure-resistant. There are 2 major filler types that are commonly used in bean bag's stuffing: polystyrene beans and urethane foam. So, polystyrene beans are strong enough to withstand large weights and are fully recyclable. But the beans can compress over the course of time, so you should refill them eventually. Shredded urethane foam is more elastic than polystyrene and it doesn't compress in time. So, a bean bag filled with shredded urethane foam doesn't require refilling and, thus, it is more expensive. There is a wide variety of materials a cover can be made of, so you should choose a fabric type depending on your preferences. You should only keep in mind that the bean bag chairs with suede or wool covers are smoother but require careful treatment. While the covers made of leather or water-resistant fabrics are the easiest to clean. And the last issue we recommend you to consider is the bean bags' extras that provide ease of use and simplify a lounge furniture maintenance. It is great if a bean bag features a removable cover that can be effortlessly washed. Double stitched and double zipped models are designed with safety in mind as they limit access of children to a filler and prevent from spilling the beans out. Thus, you don't have to worry that your child can unzip a bean bag and accidentally inhale a filler. 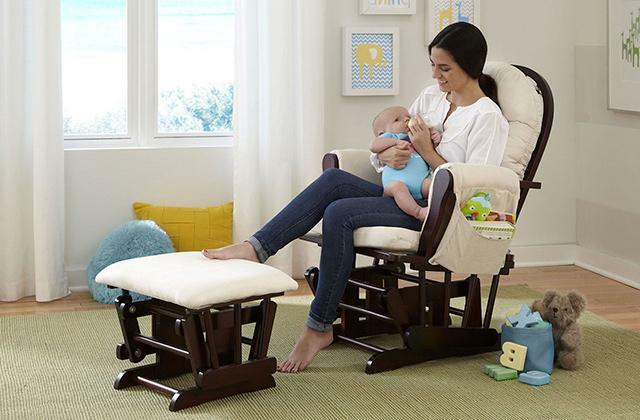 Easy-carry handles allow moving the bean bags around while the reinforcing straps are meant to hold the chair's shape. And for further convenience, bean bags are designed with drink holders and side pockets where you can store different things. 1. Tips to choose an ideal bean bag for your living room, Commonfloor. April 22, 2012. 2. Choosing the Perfect Bean Bag, Buzzle. 4. How to Make a Bean Bag, wikiHow.